Why Microsoft Dynamics SL Web Apps? Because your work doesn’t always stay at your desk. In this new era of business, mobile is the new way of doing things. Still in a meeting, but need to take a look at that report? 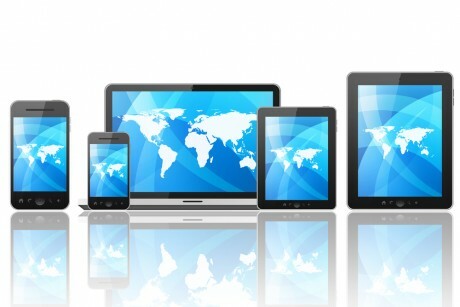 With Web Apps, simply use your tablet or smartphone. This new addition provides users a new, more mobile way to review, analyze or enter information into Microsoft Dynamics SL. We know your business doesn’t always stay in one place. Since Microsoft Dynamics SL delivers Web Apps as an HTML5 solution, only a web browser is required to access Project Modules wherever you are. No longer are you limited to working from your desktop. Not only that, but Microsoft Dynamics SL is currently scheduled to launch new web apps twice a year. These scheduled updates will allow you to use every aspect of the product from anywhere with web access. CU1 Web Apps – Available Now! Note: CU1 (Cumulative Update 1) is the new name for a Service Pack. R2 Web Apps – Coming Soon! Need assistance with your options? Systems Integration Group has been providing IT services to businesses in the Tulsa area and around the country since 1983. We here for you as you grow your business every step of the way. This entry was posted in Accessories, business it solutions, Dynamics SL and tagged business applications, business intelligence, business management, business solutions on August 15, 2015 by sig-ok.